Shown with pride! 4 bed, 3.1 bath, N Arlington home offers country charm and city convenience. Come visit this well appointed home situated on a cul-de-sac. Enjoy a cool drink under the covered back patio featuring park like setting, pool and hot tub. Enter into an open concept perfect for entertaining with updated kitchen, granite counters and crown molding. Escape to the master suite and relax in the garden tub. Large secondary bedrooms complete this package. For more information about this property, please contact Diane M. Grove at 817-337-0000 or info@groveteam.com. You can also text 2877616 to 67299. Tile has always been durable and easy to maintain. Tile has a long life span and classic good looks, making it a favorite flooring of choice wherever homeowners need a floor material that’s both practical and beautiful. Even more design options are available now, making tile a smart floor surface in virtually any room of the home. 1. The look of real wood with a rustic finish. 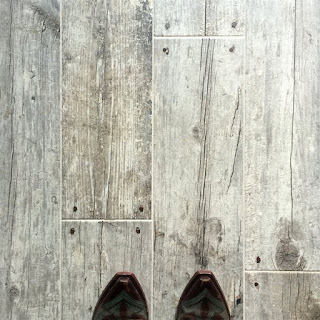 Many of the larger-format faux wood tiles mimic the look of real hardwood floors. Less expensive and more durable than real wood, these tile floors are practical yet beautiful choices for active households with children and pets. Details evoke the character of real wood, right down to the nails. Rustic faux wood is making a huge splash because of its warm, earthy coloring and unusual time-worn finishes such as aged paint, a finish hard to achieve with real wood. It is likely to continue to be a very popular design trend. 2. Those longer tile planks. While standard square tile sizes will always have their place in home décor, rectangular tiles – otherwise known as planks — are gaining popularity. New 12-by-24-inch tiles are a hot choice in bathrooms and 6-by-36-inch tiles or 8-inch by 8-feet planks (often in wood-grained looks) are a favorite for living areas. Using longer planks can help smaller spaces look larger, and create an appealing consistency across multiple rooms. While consumers may be familiar with traditional tile shapes such as square or hexagon, these longer tiles offer exciting new design flexibility. 3. That poured concrete look. While concrete is a trendy design material right now, it’s not practical for every household or application. New tile styles create the look of poured or stained concrete at a fraction of the cost, and with all the durability, versatility and ease associated with tile. Tile options range from long rectangular 8-by-18-inch or 12-by-24-inch planks to 18-by-18-inch squares. Tiles are rectified—the edge is cut completely straight—and grout joints are very narrow to further create the look of seamless concrete. 4. The warmth of heated floors. While heated floors were once a luxury option for homeowners, they’re becoming increasingly mainstream. Tile lends itself to radiant heat beneath the floor. Tile shops carry a full line of accessories, including thermostats, which can control the heat in any floor in your Keller home. This includes both the shower floor and shower benches. A growing family, overnight guests, work-at-home demands and lifestyle changes can make for cramped quarters in any home. If you’re not ready to move to a bigger house or take on a full-scale addition, carve out more space from your home’s current footprint. Renovating an attic, basement or other unused area can add more living space now, provide flexibility for the future and increase your Keller home’s value. Whether you’re creating a kids’ playroom, extra bedroom or a new home office, here are some tips for getting the most out of a one-room renovation. Find extra space: the attic. Check out your attic’s current configuration. If it’s an A-shaped space, with the highest point at the top and sloping walls down the side, it may have enough ceiling height to accommodate a bonus room. The lower walls and odd-shaped corners might also provide space to build in some shelving for items such as books or toys. Lighting considerations. Natural light may be at a premium in the new space. With an attic, you may be able to install windows at either side of the house at the highest point, but a basement is even more limited. Consider supplementing natural light with recessed lighting that maximizes your available ceiling space. Task lighting can also help, while creating a cozy atmosphere. Reliable heating and cooling. Ensuring year-round comfort can be challenging if the new space is not connected to a ducted heating system. A ductless mini-split heat pump is an easy, energy efficient solution for areas where installing ductwork may be impractical or too expensive. The compact indoor unit can be mounted on a wall or ceiling, and connects to an outdoor compressor. It comes with a convenient remote control, giving you precise heating and cooling, without the need for ductwork. Entrances and exits. Whether you’re going up or down with a renovation, it will require using the stairs. This is a good to time make repairs or modifications to the current stairway to ensure safe and easy access. Also be sure to check out your local building codes as to the number of windows and fire exits that are required and plan accordingly. Create bonus storage with cabinetry. Any renovation also offers the opportunity to squeeze in extra storage, and installing cabinetry is an easy way to do that. Manufacturers offer multiple options for cabinets with built-in storage features, from drawers with built-in organization dividers to cabinets with pull-down shelves that let you pack a lot of items into a small space. These will keep your newly renovated room looking clean, neat and inviting. Making extra space in your Keller home may be just the project you need to enhance livability. If these things don't fit your schedule or budget right now, they can still be referenced for future renovation ideas. Perhaps your Keller home is in pretty good shape – newish roof, well-maintained furnace and air-conditioning, and fresh paint throughout. Or maybe you’ve bought a brand-new house that’s move-in ready. Even though you don’t really need to do a thing to the home, you may still have the urge to update. But what can you do when everything is already just about perfect? 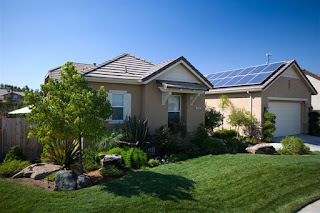 * Will it improve the home’s livability? * Will it improve the healthfulness or security of the home environment? * Is it a special feature that appeals to your lifestyle? * How difficult/easy will it be to maintain? * Does it have hidden dollar value? Skylights are a surprisingly affordable upgrade and it’s easy to see the lifestyle benefits they bring, including their ability to make both small and large areas seem even larger. Skylights differentiate a home’s appearance while significantly increasing the amount of natural light that enters a room – a huge bonus in spaces where wall windows aren’t practical or desirable, such as master closets or baths where privacy is paramount. Energy Star-qualified, solar-powered, fresh-air skylights also provide passive ventilation that improves indoor air quality. Fresh-air skylights operate with a programmable touch pad remote control that also manages energy efficiency boosting accessories like blinds. Available in designer colors and patterns, solar powered skylight blinds further allow homeowners to control the amount of light and warmth that enters or leaves the room through the skylight. The value of a swimming pool is subjective, so the most important questions to answer are whether a pool will fit your lifestyle and if you’ll be up to maintaining it. Pools can be a great way to relax or get in some exercise, bond with the kids or enjoy play time with friends. But you’ll have to do some work for that fun, including regularly cleaning the pool, adding chemicals as needed and keeping the pump, lights, heater and other systems in good condition. You must also be aware of safety and take appropriate measures to protect children and pets when they’re near the pool. A sunroom won’t improve your home’s energy efficiency the way a skylight can, but if the home has a great view or you relish communing with nature, a sunroom can help boost your mood. While some expert do-it-yourselfers may be able to tackle a sunroom addition on their own, most homeowners will want to work with a professional contractor to ensure the structure is sound, well-insulated, efficient and built to code. While a backup generator is not a common home improvement, installing one could be beneficial if your home is in a storm-prone area where power outages occur regularly. A generator may also be an important home enhancement if you have critical electrical systems that must stay on, such as medical devices for a homebound patient. If you’re considering upgrading your Keller home, keep in mind that resale value isn’t the only consideration. It’s equally important that the upgrades make sense for the home and your lifestyle. In the midst of the winter we love to think of the summer as this idyllic time when they live barefoot under the sky and everything is perfect and beautiful. Then when the summertime comes, we find ourselves complaining about too much sun, being too hot or bugs - and stay inside in the cool AC to avoid them. The good news for Keller homeowners is you can create a cool, shady and even bug-free spot for yourself, no matter the size of your outdoor space or your wallet. For a more traditional and permanent option consider a custom-made pergola. They can provide a real sense of having a room outside that is open to the sky, air and nature. You can also screen the sides of your pergola for added privacy or insect protection. If you already have a covered patio or are adding one to your Keller home, consider integrated, automated screens to keep the bugs out, and/or to provide additional sun protection. This option gives you a useful space no matter the weather, year round. 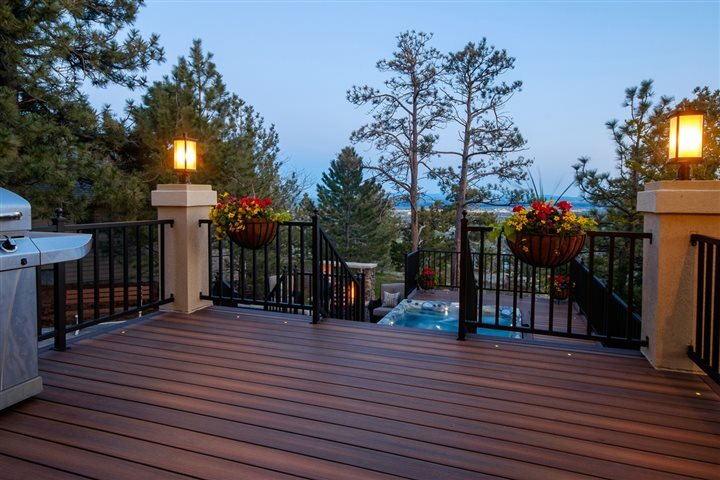 Is a wood or composite deck right for your Keller home? Outdoor living is a home improvement trend that is sometimes overlooked. If you plan to add a deck to your house, remember the design is only one aspect of the planning process. The materials you decide to use can affect the project in numerous ways, from the initial investment to maintenance years from now. Deciding between wood and composite decking can seem complex. You may have heard composite is superior but costly. You also may have heard that wood is greener yet more susceptible to bugs. Get the facts when it comes to wood versus composite so you can make the right choice for your Keller home. Building a deck with composite materials will cost more than virgin wood initially, but not as much as most people think. The substructure is the same cost for either option and the remainder of the project could cost about 25 percent more for composite. That cost, though, is often recouped over time because there is little maintenance required with composites, while maintaining a wood deck can cost hundreds of dollars each year. Low maintenance is in high demand for homeowners, and decking is no exception. 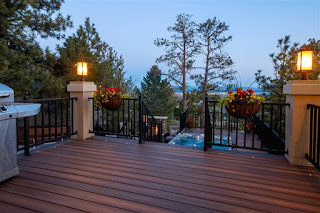 Wood decks require major maintenance every one to two years. Nail pops and splinters are common safety hazards with wood decks, as are cracked, warped and rotted boards that need to be replaced. Plus, wood decks must be refinished every year or two, a project that can cost $450 to $850 per year and take an entire weekend or longer to complete. Many people believe wood is a more environmentally friendly option than composite decking. In actuality, the opposite is true. Composites are created from recycled materials and keep waste out of landfills. Fiberon alone prevents more than 50,000 tons of plastic and other waste from ending up in landfills or incinerators every year. Composite decking also saves trees. In addition to using locally sourced plastics, Fiberon composite decking includes wood scraps acquired from nearby cabinet and door manufacturers. Furthermore, just because it’s wood doesn’t mean it doesn’t contain chemicals. In fact, most wood lumber is pressure-treated with different chemicals to boost its integrity and make it last longer. Additionally, because wood is susceptible to bugs like termites, you might need to treat the space to prevent infestation. Termites, of course, are not a concern with composite decking. When planning a new deck for your Keller home, don’t forget the impact your material choice will have on the project. Get the facts and make the right decision so you can enjoy your outdoor spaces to the fullest. Spring and summer continue to be the most popular months for selling your home. Whether or not you are selling, your Keller home could surely use some sprucing up to add to its curb appeal. By following a these simple steps, you can increase your home’s value without breaking the bank. Invest in the best tools for the job. One of the most useful tools in creating curb appeal is a hose. From power washing your deck and siding to maintaining your lawn and garden, your hose takes more abuse than any other tool. 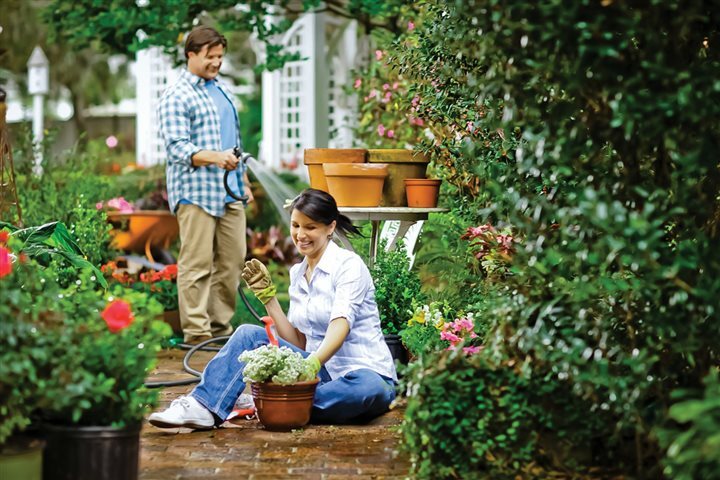 A durable hose is perfect for a variety of outdoor projects. Maintain the look. One of the key steps to preserving a healthy lawn and garden is to provide a consistent amount of water per week through a regular watering schedule. You’ll want to choose a hose that has the durability to last even after you’ve moved into your new home. Boosting your curb appeal is one way to add value to your Keller home. Whether you're selling this season or not, these budget-friendly tips can make a difference. Packing up your entire life and moving it somewhere new is an exciting, yet intimidating task. Whether you’re moving to or from a Keller home, you’re bound to experience all the ups and downs of the moving process. Between the packing, moving and eventual unpacking, the process seems never ending. It’s easy to become overwhelmed when you look around your current home and ask yourself, “What am I supposed to do with all of this stuff?” First thing’s first, you need a plan. Don’t wait until the last minute to start cramming your belongings into boxes. Take some time to create a moving strategy before taking action. If you’re planning a move and are struggling on how to get started packing, follow these tips for a smooth and painless moving process. Don’t wait to get organized. Don’t make the mistake of procrastinating. Even if you’re not planning to move anytime soon, you can still take small steps to help your future self. If your home feels like chaos, slowly organize each room, one at a time. When it comes time to pack up and go, you’ll be better prepared to take on the challenge. Purge before packing. View the moving process as a shining opportunity to clear out the clutter. Don’t move anything you won’t need or want in your new home. The more items you donate or throw away, the less you’ll have to pack and move. Your new home will also feel more like a fresh start after paring down your belongings. For added convenience, some charitable organizations offer a pick-up service for donations. Color code and pack by room. 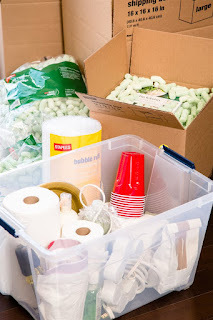 Using moving boxes and plastic totes, create a system where each box contains items from only one room. You’ll be able to simply drop a box in a room of your new home and not have to move it again until it’s unpacked. Color coding the boxes by room is helpful to anyone helping you move or unloading the moving truck. They’ll know exactly where to drop off each box. Become a label person. Don’t waste time running around searching for lost documents or important items. When it comes to organization, storage and moving, labels are your best friends. Take an inventory of all the boxes you’ve packed so you’re sure not to lose track of any. Keep a master list of each box and its contents in case anything gets lost. For the safe-keeping of important documents, file them in clear boxes so they’re conveniently stashed away until you need them. Stay organized in your new home. Once you’ve made it to your new home, it’s time to unpack and organize. If you’re going to make the effort to organize, you might as well get excited about it. Instead of using plain boxes and containers, consider using decorative totes and boxes that look as good as they store. 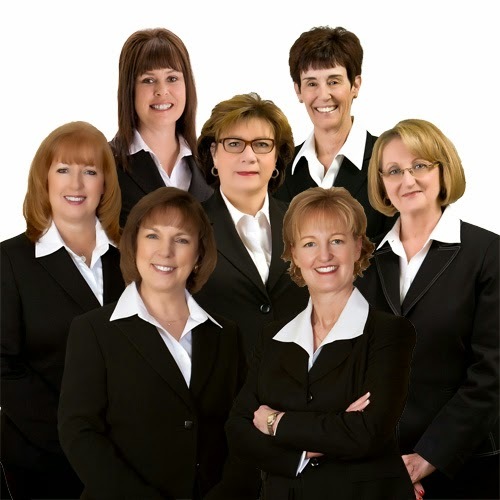 You can use these to develop an organizational strategy in your new home. Additionally, if you use these boxes to pack, your belongings will already be organized before they even enter your new home. Moving doesn’t have to be a nightmare. Make a plan, start early and you’ll be on your way to a fresh start in your new home. Whether you're moving to or from a Keller home, the moving process should be as seamless as possible.